William M. Spight, 81, was born on September 23, 1937 to General Beauregard and Della Foster Spight. He departed his earthly home on April 4, 2019 at Tippah County Hospital in Ripley, MS.
William attended St. Matthew Community Grade School. He graduated from Line Street High School in 1956. He went on to serve 4 years in the United States Air Force. While in the Air Force he worked as a Jet Mechanic in Panama City, Florida and Air Defense Headquarters Air Force Base in Colorado Springs, Colorado. William was a dedicated soldier of Christ. He turned his life over to Jesus Christ at the age of 13 under the leadership of Rev. O. C. Foster. 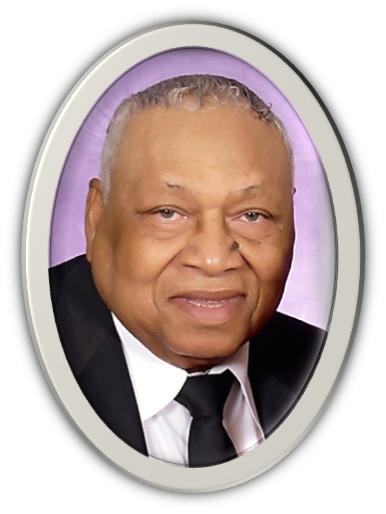 He was an active baptized believer at St Matthew Missionary Baptist Church since youth and has served as Superintendent for over 50 years. He served on the deacon board of St. Matthew for 60 years. His name is listed on the cornerstone of the church. He was President of the Ripley Union Singing Convention, Vice President of the State Singing Convention, a member of the Advisory Board of the Union Meeting Convention of the Ripley Baptist Association. William married to Lilia Furn Cox on February 6, 1959 and to this union, two children were born; Stephanie Denise and William David. Lilia passed away in January 21, 1999. William was a farmer all of his life. He was the one of the first farmers in Tippah County to do No- Till Farming and Contour Farming. He officially retired in 2016. William received several Presidential Appointments to the United States Dept. of Agriculture to serve on the Agriculture Farm Service Committee for the State of MS. He served under President George H. W. Bush and President George W. Bush. Secretary of Agriculture Annie Vinamin later appointed him Payment Limitation Commissioner. He leaves to cherish his memory: his wife of 15 years, Maxine Richard; children, Stephanie Denise (Rev. William) Gullap and William (Felicia) David; nephew (like a son), Sydney (Sonya) Adams and Marcus Leymonde (Bardethia) Gray; siblings: Ethelene Hatch, Paul (Jo) Spight, Magnolia Freeman, and A. G. (Betti) Spight; 8 Grandchildren: Denise (Richard) Joiner, Ashley (Michael) Barker, Lauren Spight, Megan (Willie) Taylor, Felicia Gray, Melamie McCoy, William Gullap Jr. and Marcus Warren; eight great-grandchildren: Albert, A’Quan, Kylen, Kaden, Adrian, Alani, Bryant, Trinity and Warren; and a host of nephews, nieces, loyal friends: Noel Jackson, Charles Bryant, Paul Lowery, friends and neighbors. He was preceded in death by his parents G B and Della Spight; four sisters, Jamie Ophelia, Essie B. Braddock, Lexia Stovall and Eldora Griffin and three brothers; Morris, Charlie, G. B. Jr. “Bud”. Visitation will be held Friday, April 12, 2019 from 12:00 noon- 8:00 pm at Foster and Son Funeral Home in Ripley, MS, with the family present from 6:00 pm- 8:00 pm. Service will be held Saturday, April 13, 2019 at 11:00 am at St. James COGIC in Ripley, MS. The body will lie in state one hour prior to service. Interment will follow at Mt. Zion Cemetery in Ripley, MS. To view and sign the guest registry, please visit www.fosterandsonfuneralhome.com.